Prior to Sunday's race, running at Interlagos was pretty much a wash-out, the surface being to varying degrees wet throughout. 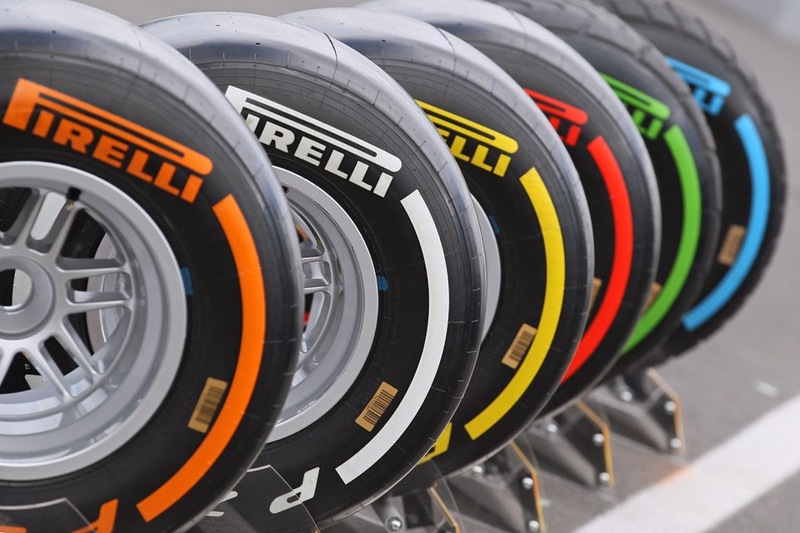 And Pirelli had more cause than most to regret this, as it'd specially brought some 2014 spec slick tyres for the teams to try out. The Italian company - that seems to have offended the Goddess Fortune at some point in the recent past - thus was deprived of running and data on its developing product, and we know by now that it rather craves that sort of thing. Well, almost totally deprived of data anyway. 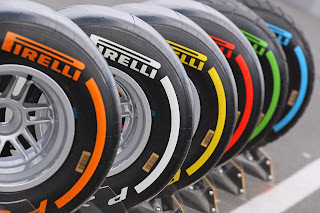 As one team did do a lap on the new tyres (albeit a slow one) even in the streaming conditions, equipped with data gathering appendages and then telling its driver in a rather sinister tone that the required data had been got. 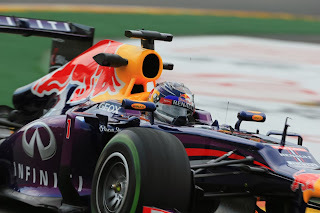 Yes, this was Red Bull and Sebastian Vettel. And on the face of it he's right: at that reduced speed and in those conditions what exactly Red Bull could have learned, aerodynamically or otherwise, isn't clear. But the thought occurred to me that if it wasn't the case that Red Bull knew something that everyone else didn't, perhaps it was instead a deliberate - and rather cheeky - attempt to knock its rivals out of kilter. Or to 'troll' them, to use the modern parlance. If so, perhaps it wouldn't be the first time. It put me in mind of a story I once heard, I think about Colin Chapman, though I warn you that it could be apocryphal. Lotus boss/designer Chapman in his pomp was known for his rare capacity for innovation (an Adrian Newey of his day, if you will). One day, during an F1 race weekend, he was seen emerging from the Lotus pit carrying an object concealed under a towel. This got the rest of the teams into a frenzy. What on earth was Chapman hiding from them? What great new stride that no one else had thought of had he made this time? It's nice to finish Further Thoughts for this Brazil race and for the season on a lighter note.